This pathway provides guidance on the imaging of adult patients following a suspected cerebrovascular accident (stroke). 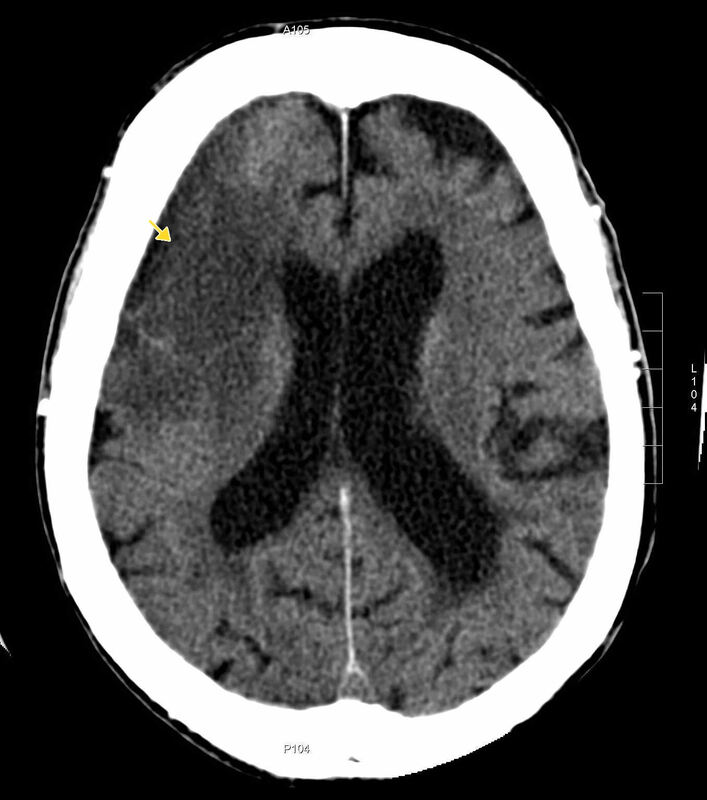 Image 1a (Computed Tomography): Acute ischaemic stroke in the right middle cerebral artery territory (arrow). 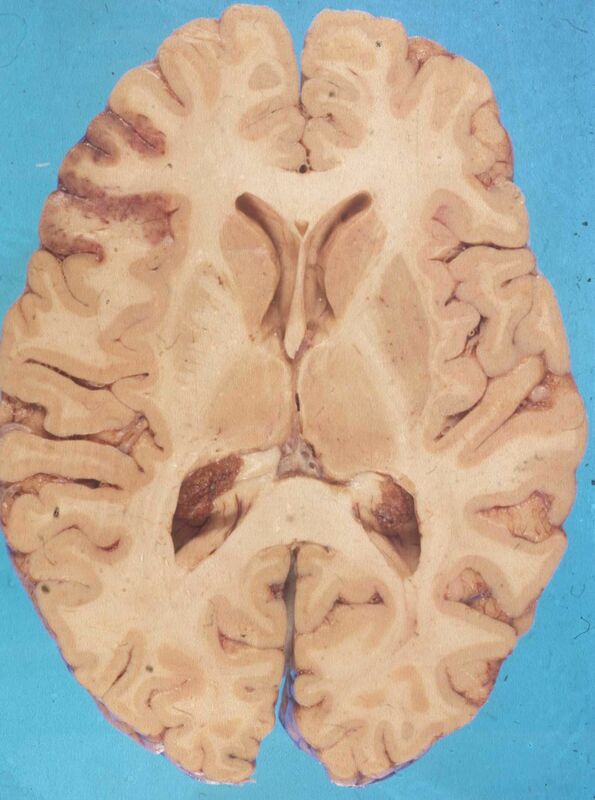 Image 1b : Post-mortem specimen ( of a different patient) showing embolic infarct in the region of right middle cerebral artery. Image 2 (Computed Tomography): Acute ischaemic stroke in the right posterior inferior cerebellar artery territory (arrow) with compression of the fourth ventricle. 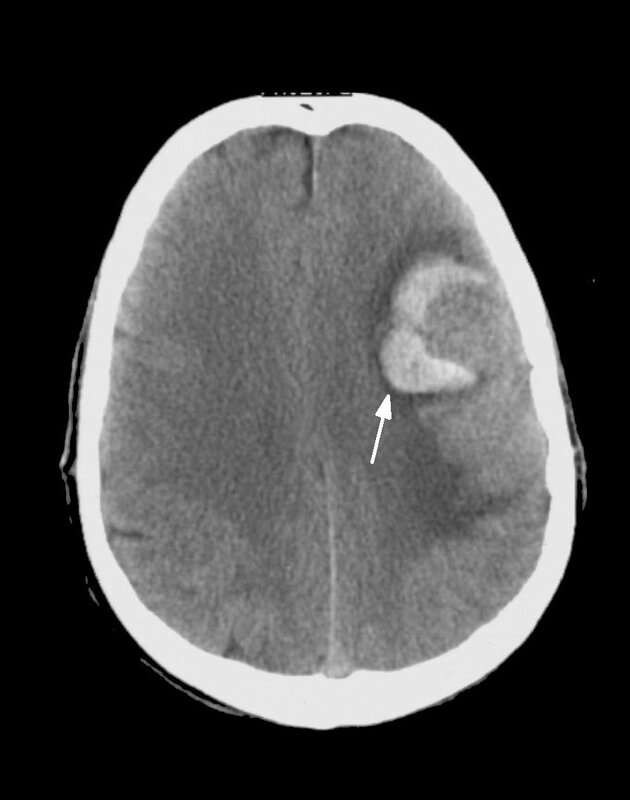 Image 3 (Computed Tomography): Acute intracranial haemorrhage secondary to a ruptured left arteriovenous malformation (AVM). Image 4 : Post-mortem specimen showing a hypertensive intracerebral haemorrhage in the region of the left thalamus and extending into the lateral ventricles. 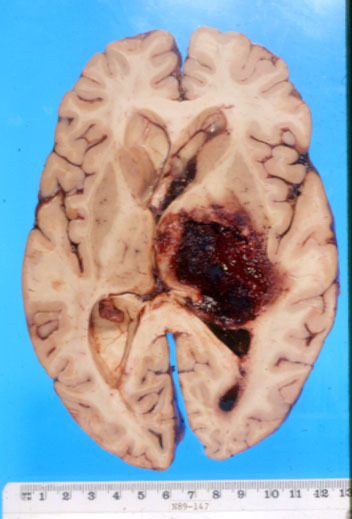 Image 5 : Post-mortem specimen showing an old cystic infarct in the left middle cerebral artery territory. Old infarcts appear as cystic spaces of varying size, depending on the size of the artery occluded (an old infarct undergoes liquefactive necrosis and may become a fluid-filled cyst). Image 6: Non-contrast CT head demonstrates dense M1 segment of middle cerebral artery (MCA) [arrow] on the left side. Dense MCA reflects a thrombus causing occlusion of left M1 segment of MCA. 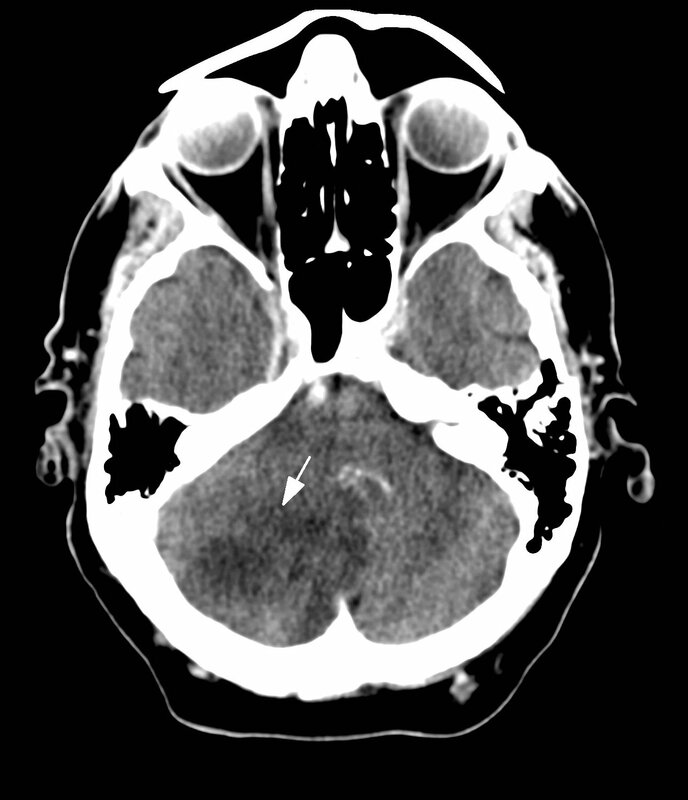 Image 7: CT Angiogram of head and neck demonstrates occlusion of M1 segment of left middle cerebral artery secondary to thrombus. Image 8a: Catheter Cerebral Angiogram (Digital Subtraction Angiogram) demonstrates no blood flow through occluded left M1 middle cerebral artery prior to mechanical thrombectomy. Image 8b: Catheter Cerebral Angiogram in same patient as image 8a demonstrating recanalization of left MCA and restoration of blood flow after mechanical thrombectomy.